Jesus Christ offers every believer His life. It is like the life of a vine whereby the branches draw their life from the trailing plant. The believer shares in the life of the Vine. The Christian is permitted to enjoy “such ravishing tastes of heavenly joys” in Christ. Uninterrupted communion with Christ is the hunger and desire of every born again Spirit-filled believer in Christ Jesus. We are in Christ by faith and therefore one with Him in unchangeable justification which enwraps the root, branches, leaves and fruit into one vine. Christ our Vine is not limited, and we are only limited by our being available to Him. Why should we therefore limit God? It is easy to get involved in “show and tell” forms of legalism that emphasize seeking fruit from without instead from within. We look for adornments instead of the fruit of the Spirit. “All that Christ has now becomes the property of the believing soul; all that the soul has, becomes the property of Christ,” writes Luther. We are one with Christ. The secret to fellowship and fruitfulness in the Christian life is abiding in Christ. “Remain in me, and I will remain in you.” This is not salvation; it is communion. We are to live such lives that Christ will continue to abide in us. This is our responsibility. 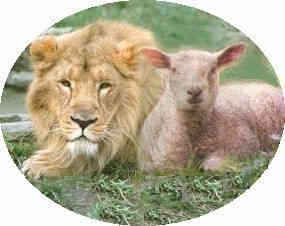 You cannot separate these two abidings because it is necessary for this vital union in Christ. We abide by being available to Him and obedient to His Word. We can never be kept from sin and in intimate fellowship with Him except by careful attention to God’s Word. The Holy Spirit applies His word to our daily lives and the blood of Jesus continues to cleanse us of all sin. This is the Father’s pruning effort upon our daily lives. “Apart from Me you can do nothing.” Without Christ the most eloquent preaching and Bible discussion will be like a bottle of mist that quickly evaporates into thin air. Without Him we can do nothing. Let those words penetrate to the depths of your soul. I am nothing; Christ is everything. To “abide in Christ” is a conscious experience. The fact that our lives are producing the fruit of the Spirit demonstrates that we are “in” Christ and abiding in Him. The fruit of Christ’s character in us is expressed in love, joy, peace, patience, kindness, goodness, faithfulness, gentleness and self-control. When we look into the face of Jesus that is what we see. When our Lord says: Abide in Me He is talking about the will, about the choices and the decisions we make. It is a volitional choice we make whereby we decide to do that which exposes us to Him and keeps us in contact with Him. We have been placed into Christ by the Holy Spirit. Now we must choose to maintain that fellowship by the decisions we make. We choose to expose ourselves to His Word in order to learn about Him and to relate to Him. To remain in union with Christ, to abide in Christ, to dwell or continue in Him means you are already in Him. To “abide in Christ” is for those who are “in Christ.” Have you come to a saving knowledge of Christ? Are you in Him?